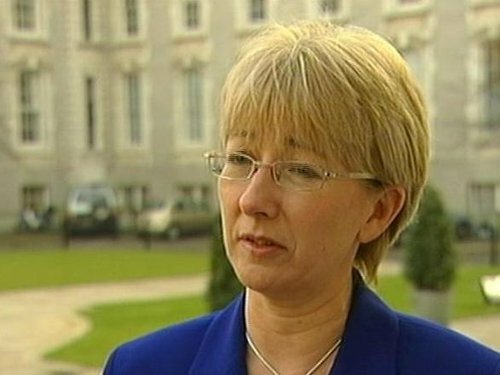 Minister for Education Mary Hanafin has refused to say whether she will be standing for the leadership of Fianna Fáil. When asked on RTÉ News, the Minister said it was 'not a day for this' and instead was a day to focus on the Taoiseach and his achievements. Ms Hanafin also spoke about how the Cabinet learned of the Taoiseach's decision. It had its regular breakfast meeting in advance of the Dáil's resumption this afternoon. At the end of the meeting, she said the Taoiseach told all members of his decision. The Minister said there was silence and 'a genuine sense of shock' after he told them. Meanwhile, Minister for Justice Brian Lenihan has said he will not be standing for the Fianna Fáil leadership. Tánaiste Brian Cowen says Bertie Ahern told him about his intentions last night. Speaking on RTÉ's News at One, Mr Cowen refused to say whether he would be a contender for the leadership. He says it is important that people have time to reflect on Mr Ahern's record in office and that he has no intention of commenting on the implications of this morning's announcement. Mr Cowen said the executive of the Fianna Fáil Parliamentary Party will meet in the coming days to decide on a time frame for close of nominations and when the election will be held. Meanwhile, Green Party leader John Gormley said there will be no General Election following the appointment of a new leader of Fianna Fáil and Taoiseach. Mr Gormley said he was given indications from Mr Ahern last night that he would be making an announcement today, but it was only this morning when he was told of the resignation. In response to demands from Fine Gael for an election, he said the coalition is rock solid. He added that there is an agreed programme for Government, which would be implemented.